I have the most amazing husband ever! I’m not gonna tell you what he got me for mother’s day – until it arrives and I have a chance to try it out. Though I will tell you he also bought me flowers. Gorgeous flowers. Growing in a pot. I was upstairs changing Cordelia and the girls were downstairs playing with their toy penguin. When I came down, flowers and leaves littered the table and floor. The lecture started. But I stopped and asked the girls to sit while I calmed down. I took a couple breaths and asked what they’d been trying to do. 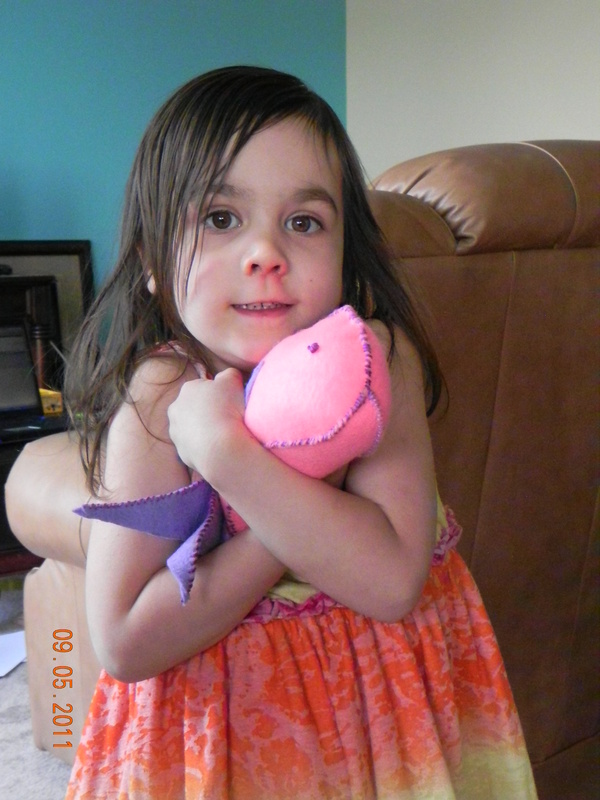 Apparently their penguin was hungry and needed pink and green fish to eat. Naturally only flowers and leaves would do. I let the girls know I was upset, but I understood it was important for their penguin to eat. 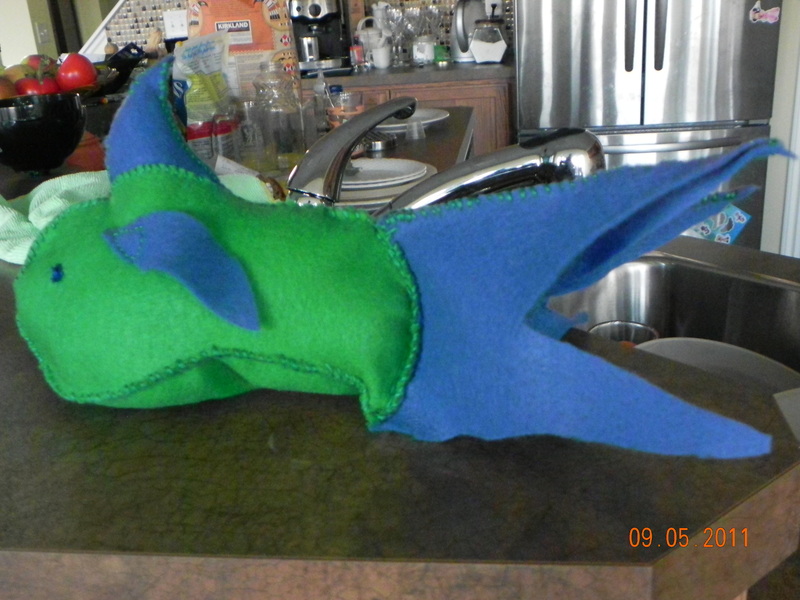 Instead of going out to the playground, I made them fish. They were slightly upset about not going to the playground, but also very excited about fish. First I need to mention I’ve never made something like this before. I also didn’t have a pattern. So by no means are these perfect, and when I make the next ones I’ll make a few changes, but for now the girls love them. After the girls chose colours, I drew out what I hoped would turn into fish.The girls took their own supplies and stitched and cut while I worked. I used embroidery floss and craft felt. All total it took me roughly an hour and a half per fish from start to finish. 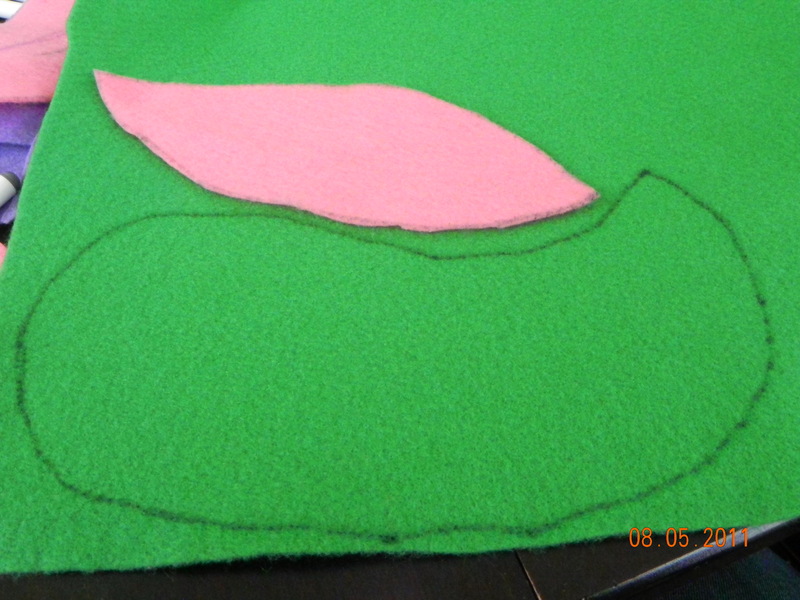 That includes time needed to completely forget a piece necessitating unstitching and restitching. It also includes time to completely tangle and untangle the floss. And time for help. Completely doable in an afternoon, unless you add in the time it takes to feed the children, clean crushed something or other off the floor, read a story or two, wash fingers, faces, floors, walls, and table. That stretches the time to two afternoons. Poor sick Ella loves her fish, Agatha will get hers when she wakes up in the morning. I actually had fun making them, and am looking forward to a few changes for the next one. 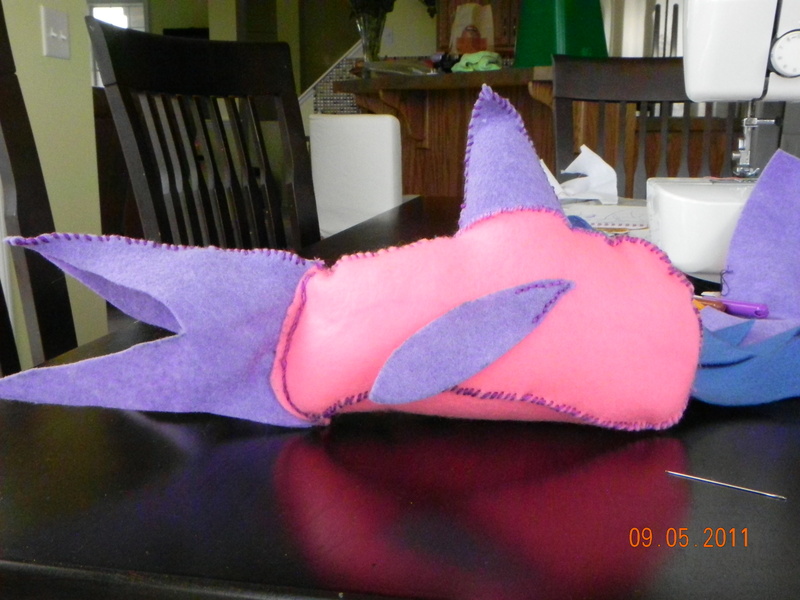 Ryan suggested gills, I want to add scales with a blanket stitch, and figure out how to fix the dorsal fin. It doesn’t sit right, but I’m not sure how it should sit. Any suggestions?